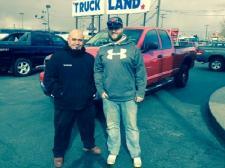 Thanks for your business Chad and Casey! Congrats to Sean on finding this gem of a 2005 Dodge 2500 5.9 Cummins. Thanks for your business! 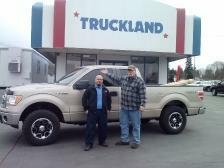 Congrats Charles On your purchase of this Ford Ecoboost here at Truckland! Thanks again for your business! 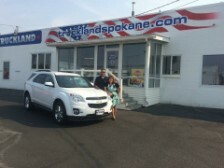 Margo congrats on your purchase of this one of a kind Chevy Equinox v6 Awd. Thanks again for your business! Thanks for your business Kathy! 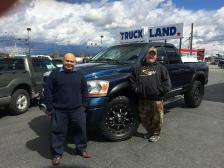 Hector was so happy to get you in the right truck for the right price! Thanks again Kathy for your business! Hector takes great care of his customers! 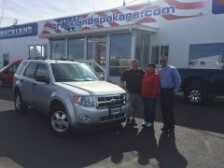 Congrats on your purchase of this really nice Ford Escape here at Truckland! 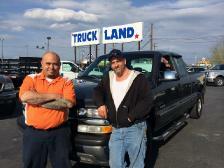 Congrats to Buck and Sophie on their purchase of this well taken care of truck. We are glad to earn your business once again! Thanks Truckland on making this purchase of our 2012 Ford Escape easy! And Thanks to Hector on getting us the vehicle we were looking for! 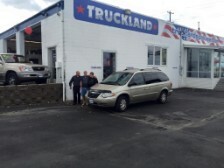 Congrats to David & Kate on their purchase of this super clean 2006 Chrysler Town & Country! Pleasure doing business with you guys! Congrats Tom ! That's a really nice lifted 2014 Chevy 1500! Bad boy! 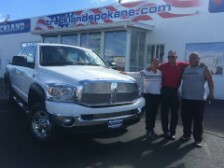 Another satisfied customer here at Truckland Spokane. Thanks for your business Frank! You were awesome!! Congrats to Matt and Lisa. 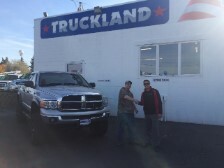 Thank you for making your purchase here at Truckland Spokane. And thanks again for your business! 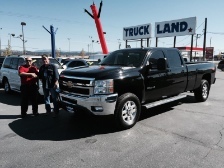 Congratulations on your sweet new truck Yvette! I just bought this 08 Tundra and 05 Nash travel trailer from Truckland.  I have purchased several vehicles from Hector over the years, he always takes great care of me, Thanks Truckland...Thanks Hector!!! Congrats to Tom & Joyce on their purchase of this really nice Town & Country. We really appreciate your business!! Enjoy the new Tahoe guys! Thanks Travis, love the truck. You are my number one guy. 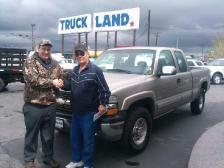 Congratulations on your new Chevy Truck Jamie. Great timing Michael enjoy your low mile 3/4 ton GMC, hard truck to find, and you landed it! 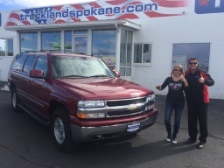 Congrats to Bonnie And Bobby on their new 2000 Blazer. Glad we could get you into a Four Wheel Drive car!. Congratulations on your 2005 Toyota Highlander. Was great helping my old hometown people!. John & Katy love their new 2008 GMC Acadia!, We truly appreciate your business!! 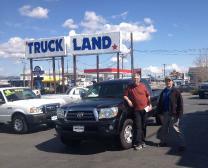 Victor loves his new 2006 Toyota Tundra he was so excited to find this diamond of a truck! Thanks for your business!. What a nice flat bed!! Congrats to you two!! What a super nice rig Candyce, Thank you for your business!!! Thanks Dixon we really appreciated your business!! What a beautiful Duramax!! So glad to see this really nice Dually Cummins got to a great guy! Thanks Aaron for your business!! 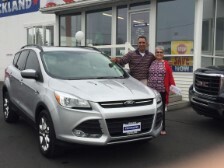 Angela received a great deal on this Escape! Will last her as long as she needs it to!! Thanks for your business Angela! 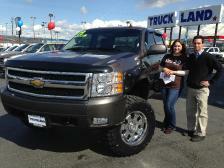 Congrats to Shad And Kelli on their purchase of super clean Gmc Duramax!! So glad to do business with you!! 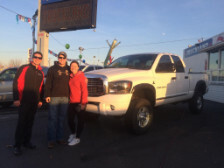 Congrats to Jeff on finding the right 5.9 Cummins for you! Slo glad to meet you and do business!! 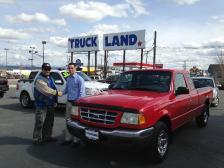 Congrats to Daniel on his purchase of a super clean F-150 Lariat!. Thanks for your business!! 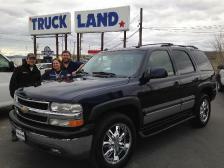 Congrats to Tami on her purchase of this really nice Chevy Suburban. Thanks for your business. Thanks for your business Tami. Thanks for your business! !.